How much is Daniel Ricciardo Worth? Daniel Ricciardo net worth, salary and career earnings: Daniel Ricciardo is an Australian racing driver who has a net worth of $50 million. Daniel Ricciardo was born in Perth, Western Australia in July 1989. He competes in Formula One for Red Bull Racing and started with the team in 2014. Ricciardo won the British Formula 3 Championship in 2009. He previously raced in the Western Australia Formula Ford series in 2005, the Formula BMW UK series in 2006, the Formula BMW Asia series in 2006, the Formula Renault Italy in 2007, the Formula Renault Eurocup from 2007 to 2008, the Formula Renault WEC in 2008, the Formula 3 Euro Series in 2008, the British Formula 3 series in 2009, and the Formula Renault 3.5 Series from 2009 to 2011. In 2009 Daniel Ricciardo won the British Formula 3 Championship. He also won the 2016 Malaysian Grand Prix. 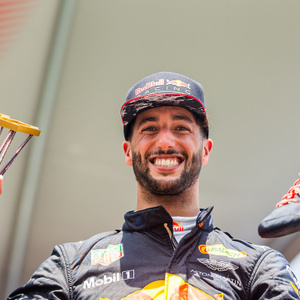 Ricciardo won the Lorenzo Bandini Trophy in 2014 and the Lareus Breakthrough of the Year in 2015. In August 2018m Daniel Ricciardo signed a two-year contract with Renault that pays him an astonishing $35 million per year. Under his previous contract with Red Bull he was making $6 million per year. In November 2018, Daniel spent $9 million to buy a mansion in Beverly Hills.